Speaking of the hullabaloo over streetcar service in DC ("Better transit can't wait," Washington Post), about four years ago I wrote a piece ("Short term vs. long term thinking: transit, the Washington Examiner, Fairfax/Loudoun Counties vs. DC") about the Silver Line Metrorail extension. The point I made is that the Silver Line isn't so much about providing access to Dulles Airport but more a tool for reshaping the relevance of those areas of Fairfax and Loudoun Counties in terms of the 21st century landscape for residential and commercial selection in the face of increased demand for more urban locations, and a reduced reliance on the automobile for getting around. ... I ran into a colleague the other week at a presentation (she lives west of Vienna, long story, but she is a committed urbanist), and she commented that Fairfax County's office market appears to be crap, except for the area served by the Silver Line. We both agreed that the Reston area is likely to be the big winner -- over Tysons Corner, despite Tysons Corner having signature retail assets -- because while on a superblock scale, Reston, especially the town center area, already has a reasonable enough urban design. By contrast, Tysons Corner requires massive reshaping of the spatial environment to be able to redevelop its environment toward placemaking and the kinds of quality of life supporting features that characterize Reston Town Center. Although there is a master plan in place to bring that kind of change to Tysons, and they are doing stuff to increase their verve ("Tysons Corner drops 'Corner' from name" and "Fairfax County, landowners debate Tysons tax district," WBJ). 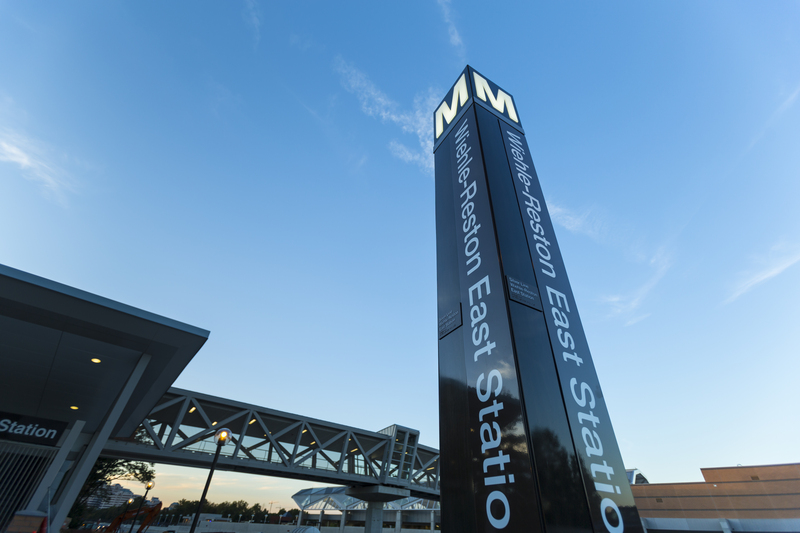 The lease is another sign of activity in the area in advance of the Silver Line's planned Reston Town Center station. Federal contractor Noblis Inc. signed a lease earlier this year with The JBG Cos. at its Summit I & II, which will also benefit from the Reston Town Center Metro station, as part of a planed relocation from Falls Church. 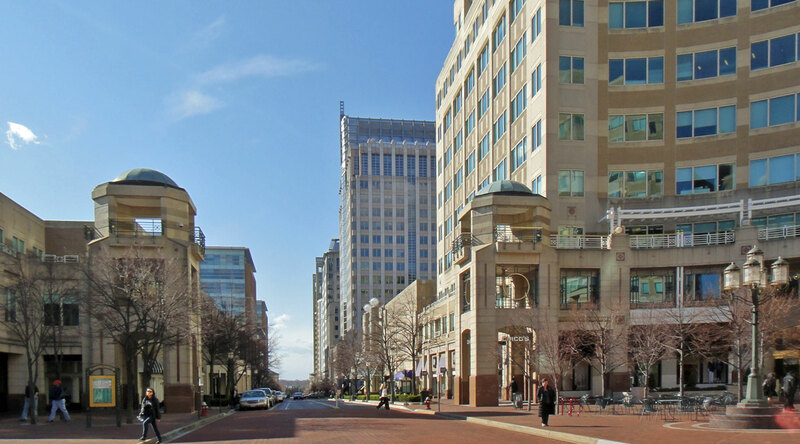 With Reston Town Center at virtually full occupancy, many developers including JBG are positioning their buildings to benefit from their proximity to the mixed-use development. Although even in Reston, the single family housing market seems to be lagging the improvement in the office market, although the market for multiunit housing is more robust. A very large chunk of my friends and acquaintances have decamped to Reston. Proxmity to work, decent shopping. It seems like they need to grow RTC out a bit more and it suburban constrained. I thought the housing market recovered there but haven't been looking closesy. Very affordable compared to what you get in DC. 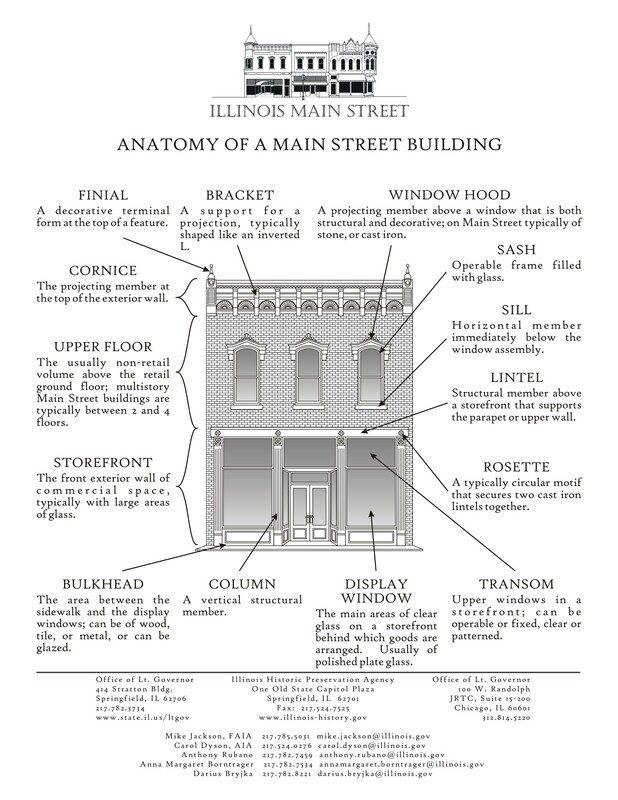 As with H st, and parts of Columbia Pike, building off a better urban form wins over transit. people still need to make a mental shift towards transit proximity to reshape demand for housing near metro stations there. hence the lag. Good point about being able to leverage and extend from urban form. Another example, semi relevant, is Fort Totten. It's not got good form, plus is isn't that dense, hence the lag. It's like DC's equivalent of Greenbelt Metro. a conversation with the same colleague sometime last year jibes with your recounting of friends-people you know moving to Reston. Friends of ours have a condo there (they've since moved back to California), so we ended up spending some time there so I put my evaluation hat on all the times I was there. If I was forced at gunpoint to relocate and live in Fairfax County, Reston is the only place where I could make it work. I'd suggest -- mostly to be difficult -- that retaining areas in urban form but with crappy transit is a good way to retain affordable housing. Some people are willing to put up with bus service in return for savings in mortage or rent. there was an article about the Crossrail effect in the WSJ last week too. wrt your point, remember that some sectors of advocates for low income populations in both Columbia Pike and Langley Park/Takoma Crossroads have opposed streetcar/light rail on exactly that note. plus, I hadn't thought about it in quite that way, but perhaps some of the LA Bus Riders Union opposition to rail is not because the expressed concern of diverting monies and prioritization (not just capital budgeting but operating funds too) from bus to rail -- competition for scarce resources -- but equally perhaps because of how rail repatterns housing demand, commercial district retail mix, demographics etc.